Even though studying at a prestigious art school like Yamabuki is hard work, the girls who live at the Hidamari Apartments always manage to squeeze in time for a little fun and exploration. And when they actually get a day off? Watch out world! 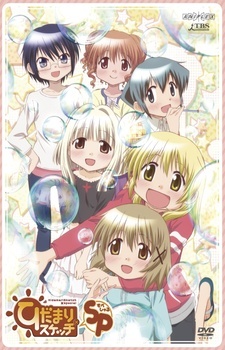 Yuno, Sae, Hiro, Miyako and new students Nori and Nazuna return to create another masterpiece of life as art, with all new adventures that include swimming, pajama parties, trips to the art museum and even an all-you-can-eat diner courtesy of the landlady! Of course, there’s always a little housework that has to be squeezed in, but with a pinch of resourcefulness and a dash of creativity, even the most onerous of chores can be turned into something magical.